You might be thinking rustic, barnyard, or natural wood and country setting for your next event. You wouldn't be alone. Interesting mixes of old and new. The creations we have seen in this style of theme the past few years have produced some incredibly fabulous setups, and propelled this style into its own category. 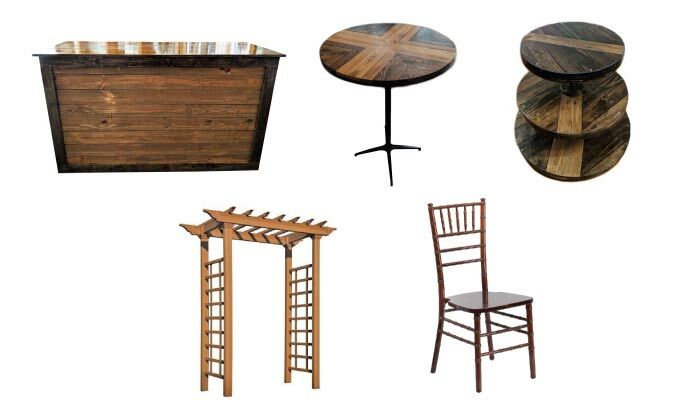 We are seeing the theme all year round, but fall is the biggest surge in wooden, antique, and natural styles. Lets revisit some of the many offerings we have added in recent years to supplement this theme. Stained to match many of our other offerings, we have a complete kit with natural wooden poles surrounding the entire perimeter, and center poles. Translucent fabric, while more heavy duty than sailcloth, carries similar attributes such as some light bleed inside and outside. Century Tents carry similar style of tall swooping peaks.